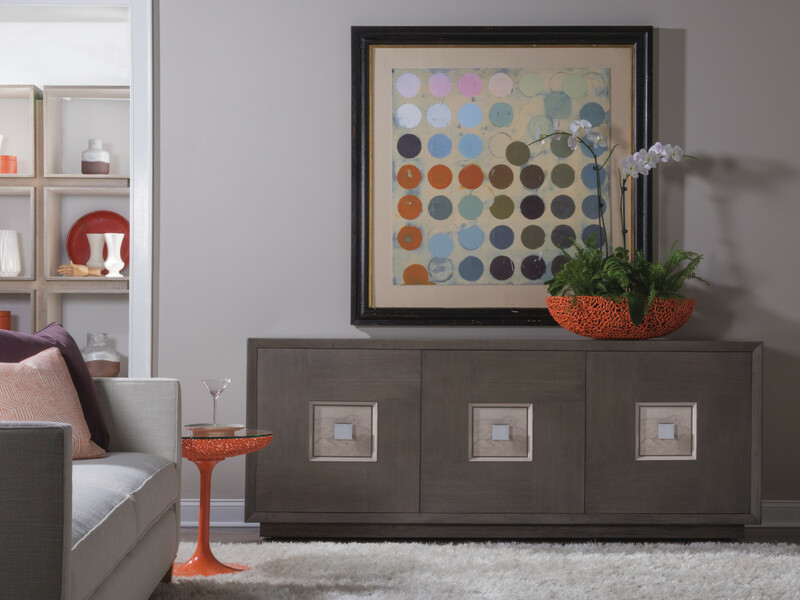 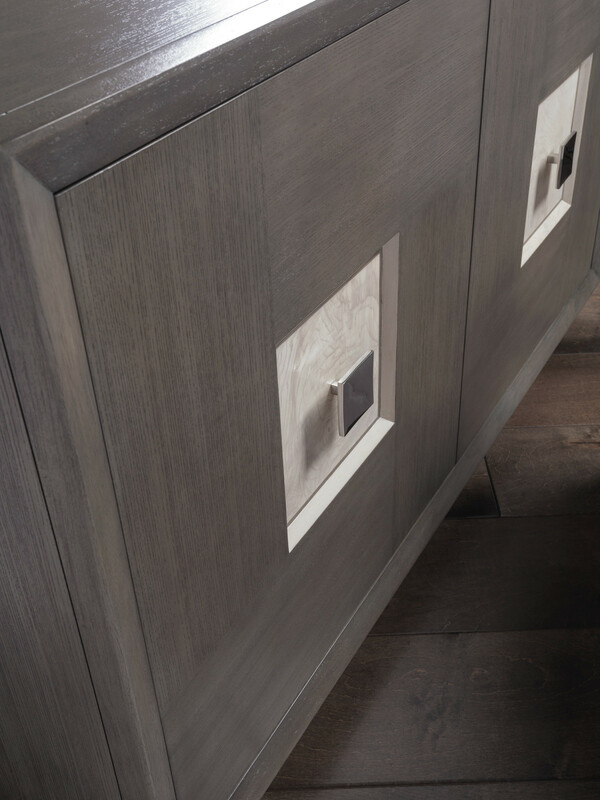 This simple, modern form becomes exceptional when dressed in the complex geometric pattern in capiz shell inlay, contrasted against quartered white oak veneers in a cool gray finish. 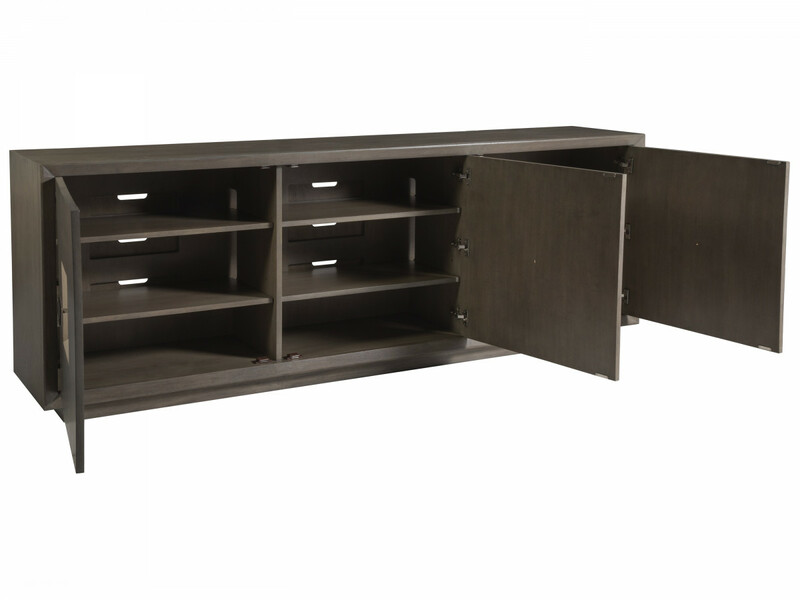 The three doors feature touch latch hardware, and conceal six adjustable shelves, wire management, and component venting. 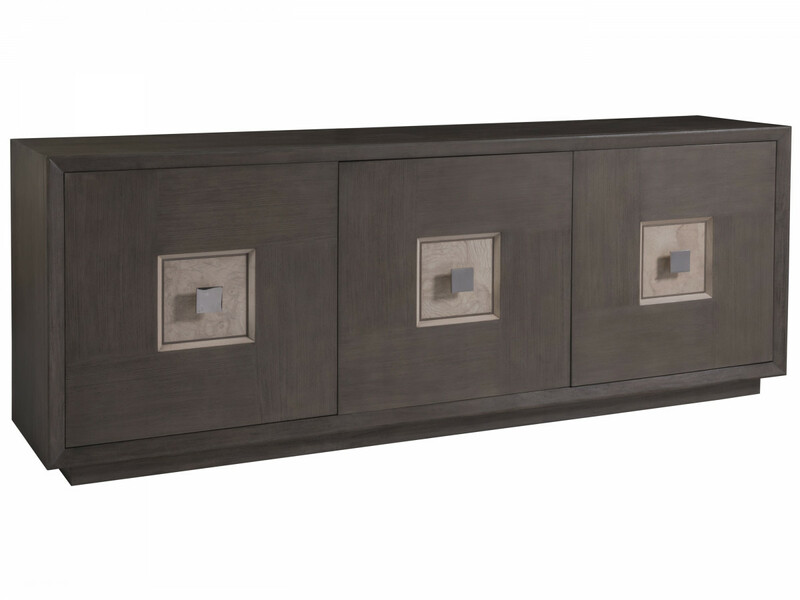 Dimensions: 87.5W x 18D x 34H in.